For additional information about this book, visit the website byronslane.com. A traumatic experience in Iraq and a failed relationship cause Jonathan Adams to scramble to re-set himself. In spite of having built a successful career as a professor and politician, he begins the last third of his life a flawed, fragile man, wary of the years ahead, plagued by a neurotic fear of rejection and a compulsion to be well-liked. Part of the first generation of America’s white suburban middle class, Adams was taught that his situation was something he’d never experience if he stayed focused and made a concerted effort to grab and hold on to what he wanted from life. Now he’s suddenly and painfully aware that the world is moving in the opposite direction of the path set out for him decades ago on Byron’s Lane. In town to visit his friend for the first time since Adams’s return from Iraq, Tom Walker prods Jonathan to recall memories from their shared past—in hopes of building a foundation for his friend’s recovery. In the process Tom unearths secrets buried in the days of burgeoning housing subdivisions and the Kennedy assassination. When Tom detects a fresh bullet hole above the back door of Adams’s cursed house, he fatefully becomes party to an irreversible process that leads to the violent collision of their past and their present. Wallace Rogers manages a consulting business that specializes in building the capacity of local governments in developing countries. His projects have been funded by the National Endowment for Democracy, the United States Agency for International Development, the Asian Development Bank, and the New Zealand Agency for International Development. 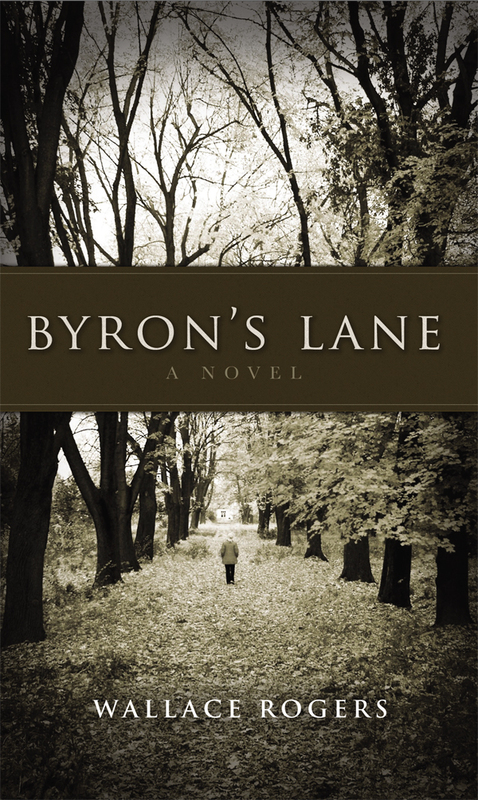 Byron’s Lane is his first novel.